In this tutorial, we’re going to take a look at how to create a dynamic and interesting text transition using Plexus 2. All the geometry is created using one instance of Plexus on a text layer, which can still be easily edited and updated within the animation if we decide to change it later. Play around with the Plexus parameter to fine tune the transformation look, avoiding any blown out highlights or messy areas. You can also play around with more effectors to achieve a completely different look, so definitely experiment around! Also, working in 16bpc will give you nicer glow results with less banding. You can drastically reduce banding by adding a Grain effect to everything. For more interesting looks, try animating the camera’s focal distance to create a rack focus effect. In the original video, I also created a Trapcode Particular layer to create some background smoke to add some subtle atmosphere. You can really add on to this animation by throwing in some Particular or Form in there. Lastly, definitely tweak and play around with the disintegration effect at the end. You can add more realism by throwing in a Turbulence Displace or some type of distortion in there to make the spread seem more natural and organic. Hope you guys enjoyed this tutorial, if you guys have any questions or comments, feel free to post them down below! Definitely play around, experiment with Plexus, and have some fun! Anytime, thanks for the support! Thanks for sharing this useful and awesome tutorial. I like it. Is it your job? or just a hobby? I want to be a VFX artist, but it’s still a lot for me to learn. Glad you enjoyed the tutorial. This is all a very passionate hobby, I don’t make a living off of this. Best of luck learning! Another excellent tutorial, cool idea and relatively simple. It’s actually a track mixed with some sound design I made with my sound library. Thank you so much, really gave me an insight in how to actually use Plexus after just watching introduction videos. I would love me some more of this, and I love how you use a variety of plugins to show how you create a cohesive animation. You the best! Great tutorial, the plexus tips and the finishing tips are really helpful. I was wondering, is there a way to do a similar technique using plexus with a logo that’s a vector coming in as PS or AI file? In my opinion, it seems like the images are not mapped onto the triangulation planes of Plexus in the way you might think. 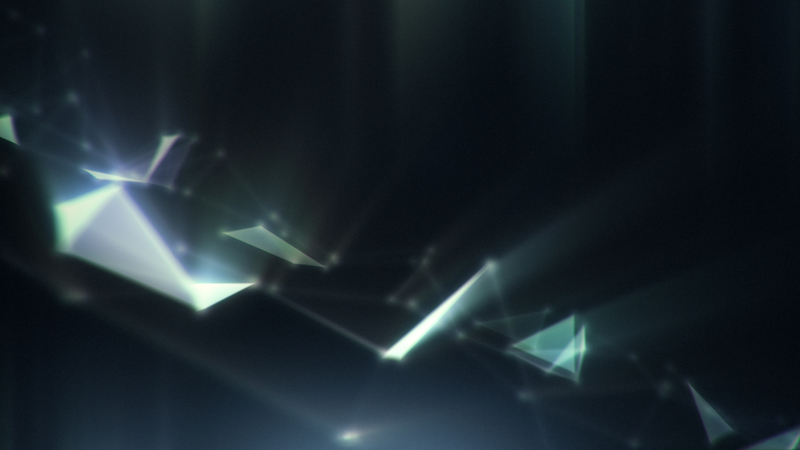 The images seem to be mapped on more solid geometry, perhaps Trapcode Mir. Then there are a few layers of Plexus triangulation around the globe, but the images mapped to the globe itself may be Trapcode Mir or 3D model. Thanks VinhSon, didn’t realize mapping images to Mir was do-able in that way. I’ll definitely look into how to do that. Layering Plexus over the mir wrapped world makes sense after looking at it again. Thanks for the help! Please can you or somebody else give me a downloadlink where I can download it? I’m not sure what you’re wanting to download. If Plexus causes AE to crash, you may want to send a support inquiry to the developer. Any ideas of how I’d be able to remove that red cross? You got a red cross because you didn’t purchase the plugin legally, or are running a trial of the plugin. Which plugin is it? Plexus or Frischtluft? Whichever one you didn’t purchase. Could be both. Are there any other 3rd party plugins that gives me the ‘Out of Focus’ Effect? The built in “Camera Lens Blur” effect within AE can give you similar results. hey vincent. thank you very much. great tutorial. i was looking for an tutorial to start with plexus and this is a perfect one. i like tutorials when they are doing stuff that looks good and not the standard stuff. 🙂 so again, thank you very much and keep going. hey! thankyou such a great tutorial. i currently looking for background music for my intro, any advice? Thanks! You can always fade the Plexus out and fade the normal text layer in together to form a solid text.